Ninja Pro Blender Review (BL 660) – Should You Buy It? Want to know if the Ninja Professional Blender (BL660) is a good fit for you? How does it work? Can it make great smoothies or not? Read on to discover all you need to know about this popular smoothie maker. 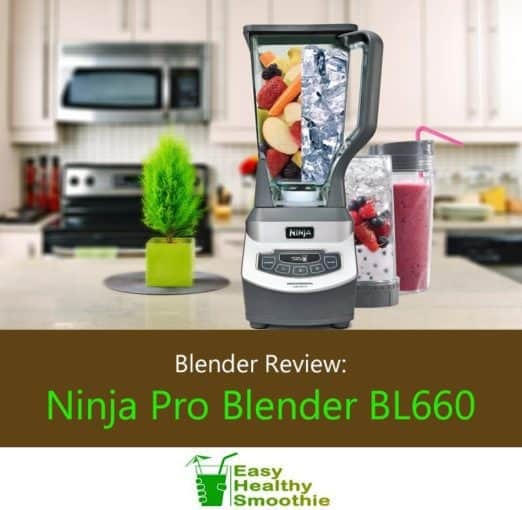 There are many mid-priced blenders on the market and this review examines the features that set the Ninja Pro BL660 apart from the rest. Overall great blender - one of the best out there. The Ninja BL660 is fast and powerful enough to handle all the fresh vegetables and fruits you can feed it. It blends your ingredients in just a few seconds. This unit is also versatile in that it has two sizes of pitchers; The large one is able to handle quick, on-the-go recipes or larger quantities to serve your family and friends. The single serve cups come with to-go lids for those times you are running late. The easy to clean, dishwasher safe components will aid with a speedy clean up. You will need to take precautions because the blade assembly is very sharp and should be cleaned with a brush. you want a blender that gives you both great value and superior features such as a powerful motor, extremely sharp blades, variable speeds and single serve plus family-sized containers. You feel you need a stronger warranty due to the amount of use you will have. Many high-end blenders such as the Blendtec Total have 8-year warranties and additional capabilities. If you’re also interested in having the blender prepare soups, butters, nut milks, etc - the Ninja is not for you. In addition this appliance is relatively tall so it might not fit if you have very limited kitchen space. What is the Nutri Ninja Pro? Why get this smoothie maker? Is Ninja ﻿Pro the ﻿machine ﻿for you? How long does it take to blend? Where to buy the Ninja Pro? 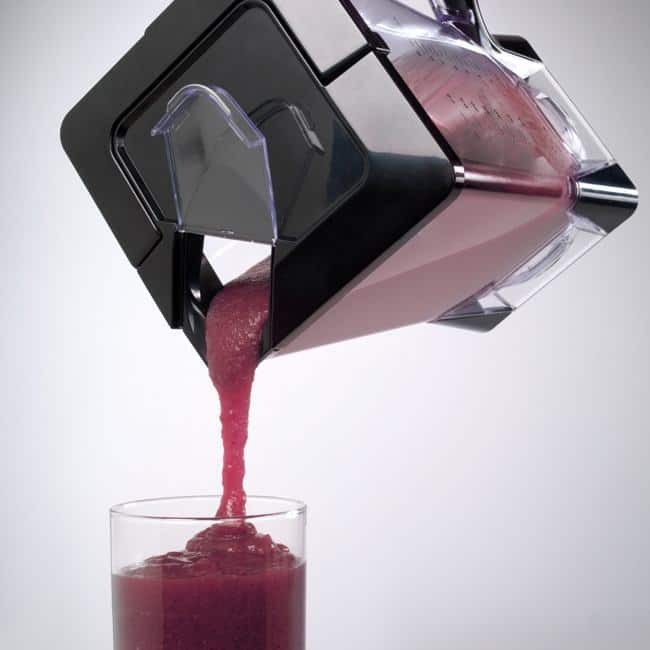 This kitchen appliance can turn soild foods such as vegatables and fruits, into smoothies and shakes. It consists of a base with a powerful motor, and a jar with an innovative blades that do an effective job cutting and liquefying your ingredients. Most people struggle with weight issues. You may be one of them. Even if not, then you’re probably aware that eating healthy “clean foods” or whole foods is much better for your health. With Nutri Ninja Pro you control the ingredients. 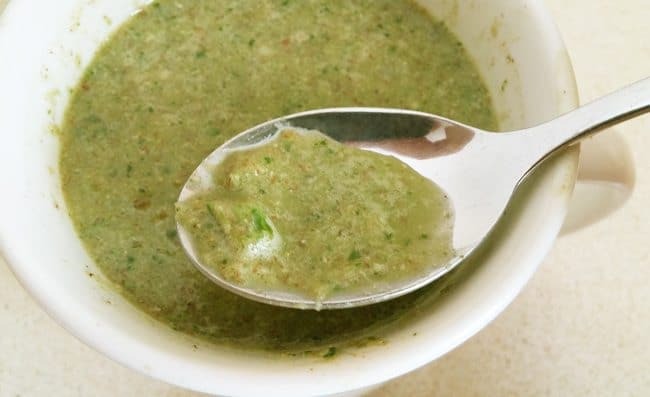 You can make healthy drinks, soups and sauces that have no added preservatives while giving you only the freshest vitamins and minerals you can get. My good friend Jane had struggled her whole life with weight issues. She developed health problems that could not be reversed, but could be improved. Facing a knee replacement, she had to lose 100 pounds before they would conduct the surgery. At that moment she knew she had to make some drastic changes in her nutrition and lifestyle. Fortunately, she was successful and lost 100 pounds in 6½ months thanks partially to a diet of healthy smoothies. She was unaware of the Ninja Pro Blender at the time; so struggled along with her rather basic blender. Is Ninja Pro the machine for you? You are looking for great value for you money. First, a refurbished unit costs substantially less. A refurbished unit has been professionally restored, inspected, cleaned and repaired to manufacturers specifications. Another option is to buy one of the other Ninja products that are a bit less expensive and offer similar features and capabilities such as Pro models BL456 or the Ninja Professional Blender 1000 (BL610). You have a sensitivity to noise. The BL-660 is rather loud during operation. If this would bother you it might be better if you find an alternative such as the Jamba Juice Quiet Shield Blender. It has 62% of the noise compared to a traditional blender. It has a shield that goes over the unit to mask the noise.The power is similar to the Ninja BL660. It also has a 5-year warranty. You want the backing of a stronger warranty. 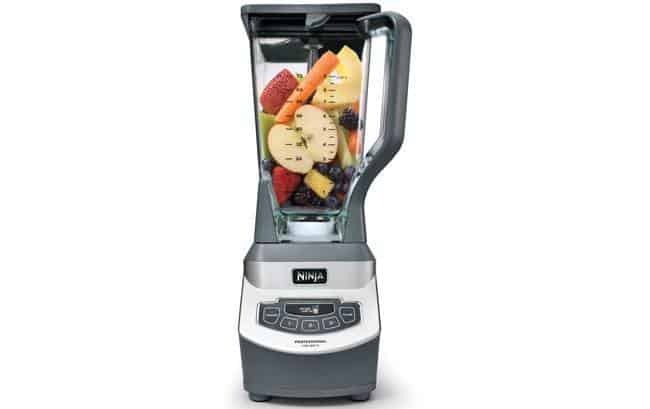 The Ninja Pro is considered a reliable blender, however it comes with just 1 year warranty. If you want the ultimate in reliability, go for the Blendtec or Vitamix with their generous warranty programs. Family-sized blending jar and lid. Liquid capacity is a convenient 64 oz. The motor base, which is the control panel as well as the "brain" of this appliance. This blender was designed with ease of use in mind, as you'll see in the video below. Thanks to the relatively powerful motor, as well as the multiple sharp blades, blending a smoothie can as quickly as 10-20 seconds. If you're using ice, frozen ingredients or tough ingredients​ such as carrots or celery, then 30-50 seconds should be fine. When you use tough ingredients, for quicker and smoother results start with a few quick pulses, then let it blend for 40-50 seconds. Is the blender powerful enough to pulverize and liquify solid foods. If you are going to make smoothies and other recipes on a regular basis you want it powerful enough to go fast and do the job. Make sure the blender can handle chunking up ice and frozen ingredients and then creating that smooth, frozen texture. The Ninja Professional Blender (BL660) has 1,100 watts of power which is significantly greater than many affordable blenders. With 700 watts or less, these blenders can find ice and tough ingredients challenging. Blenders come in every size and shape as well as price. High-end blenders boast the greatest power, capabilities, and features. They give you a lot of value, they offer the best warranties, but you will pay for it. The mid-range blenders have similar characteristics to the high-end blenders but are lacking in warranties (usually 1-year), lacking the full range of capabilities, and a bit less powerful. For instance the Ninja BL660 has the power and blades comparable to a high-end machine, but the 1-year warranty might not be appealing. Low-end blenders just do not have the umph to make good quality smoothies. The power and the blade design make it difficult to crush the ice totally. This leaves you with large chunks of ice in your smoothie. With a low-end blender you might find in the smoothie some chunks of the ingredients. One of the reasons I like the Ninja pro is its blending quality - it would NOT give these kind of results! Blenders come in various sizes. Some are tall and thin, others are shorter and squat. 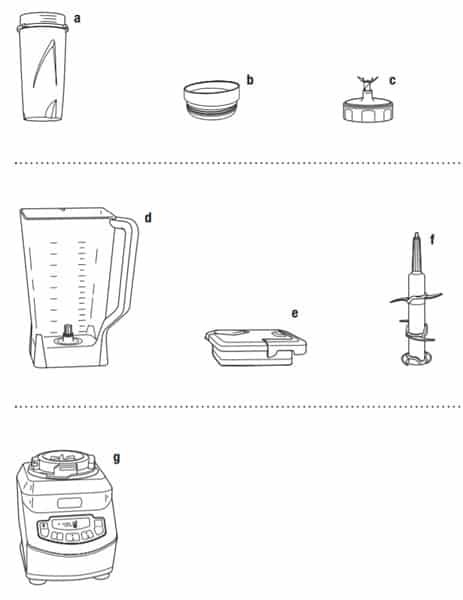 It is a good idea to measure the spot you are going to work with and store your blender just to make sure it fits. The Nutri Ninja's Pro model is 17” tall. The standard distance between a counter top and the upper cabinet is 18”. Therefore itwill fit in this situation, but it is close. Blender speeds are also a consideration. The main purpose of getting the blender is to make smoothies but there will be other things you want to try as well. There are speeds that allow you to chop, grate, grind, liquify and so on. The more speeds you have the more options you have for trying new recipes. The Ninja BL660 has 4 speeds that allow you to 1) process and mix, 2) blend, 3) puree, liquify, crush ice and 4) pulse for controlled processing and bursts of power. Some blenders are made with large jars and other with just single serve jars. Then there are some that feature both. Make sure the pitchers are BPA free; it is much healthier and safer. Also, look to see if the components are dishwasher safe. The stainless steel body of the blender and the digital touch pad are easy to wipe down with a soft cloth. Blenders with buttons to go around are tedious, especially if you have a lot of liquid or batter spills over the buttons. ​Fast and easy cleanup will be a key feature - see below “Cleaning tips”. It gives you more time to live your life and not be stuck in the kitchen. How often will I use this appliance? What is the warranty? The longer the better. Where will it fit in my kitchen? How many people will I usually need to serve at one time, and is the pitcher big enough for this? The Ninja Pro Blender (BL660) is a countertop blender. It uses a patented stacked blade assembly and a 1100 watt motor to supply the power and capability to break down the toughest ingredients in just seconds. 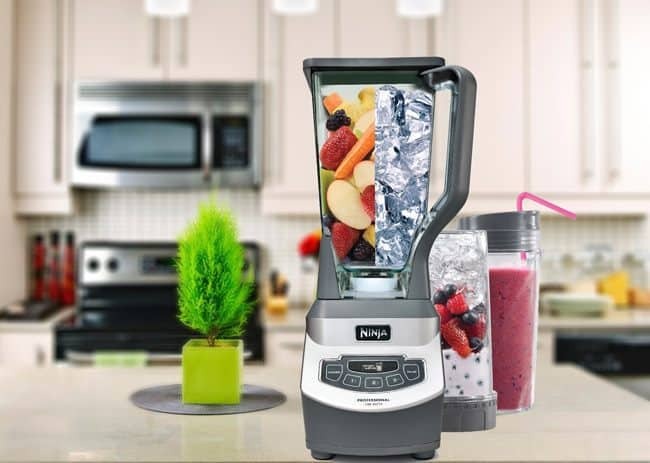 In the box you will get the blender appliance, a 72-ounce large pitcher with easy pouring spout, two 16-ounce Nutri Ninja cups, two single serve to-go lids, and a single serve blade assembly. When compared to other kitchen blenders it falls mid range. It has some great features but is not high-end. The Ninja Professional is a more affordable alternative to the high-end Blendtec and Vitamix blenders. The precursor to the BL660 was the NJ600. It still used the multiple blade assembly but had a little less power. The next model up from the BL660 is the BL740 that has extra large capacity and comes with a recipe book. All Ninjas have comparable features. We found most of them to offer excellent value for the money. The motor on this blender is 1100 watts, giving you plenty of power to crush ice and pulverize vegetables such as carrots and apples. It can do this in just a matter of a few seconds. 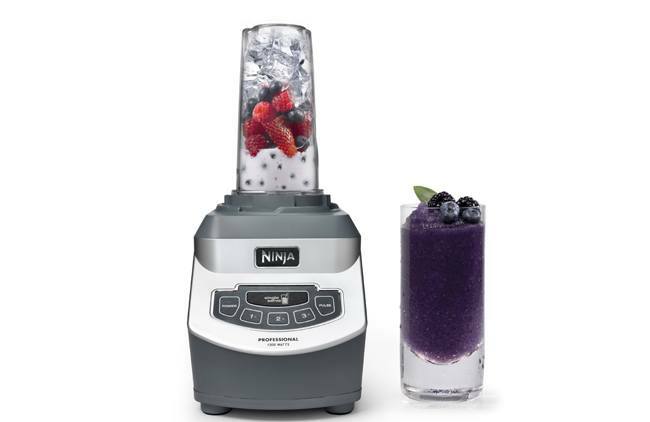 Running the Ninja Pro for a little less than a minute will usually give you the right consistency for smoothies. The patented Ninja blades are just as important as the power. These blades are extra sharp, and they need to be to slice through ice and frozen veggies. But you need to take precautions when handling the blade unit as there is a danger of being cut. Ninja has taken safety steps to protect you such as: the unit needs to be locked in place and the cover of the pitcher needs to be locked down before it will power on. Even so, this is not a unit for young children to be using on their own. Both the large pitcher and the single serve cups are made of hard plastic which is BPA free. You can safely make your recipes and know you are not being contaminated or affected by the chemicals in BPA plastic. In addition, the package comes with two single serve cups and to-go lids. The smaller cups are ideal for making single smoothies and are ready to go when you are. A straw will also fit in the cup lids if you prefer to drink with a straw. This is a formidable blender; it weighs about ten pounds. This is something to consider if lifting and moving the blender will be a hardship for you. The body of the blender is made of stainless steel, which is easy to clean. The controls are digital and are level with the body of the blender so there are no buttons to have to clean around. Again, easy clean up. There are a small number of speed selections which make it easy to operate. The single serve option is for just that - the single serve cups. There are three speeds to use depending on the consistency you are looking for. Finally, there is a pulse selection for those times you want to give your smoothie just one extra round in the blender. The blades will come out sparkling and you won’t have to handle them too much and risk getting cut. However if the blade assembly is still not clean enough, carefully remove the blade assembly and go over it with a brush to get any further debris off. Of course the pitcher and the single serve cups are dishwasher safe, so that’s definitely another easy cleaning options. As shoppers we all want to get the best value for our money. When compared to other blenders, the Ninja Professional Blender (BL660) has all the great features and capabilities of high end blenders. The Ninja is ¼ the cost of some higher end blenders. If you wanted both a large capacity blender and a single cup blender you would be paying twice as much for two separate machines. This is where the value comes in - you are getting the value of two blenders for the price of one. If your purpose is to crush ice into snow powder and liquefy fruits and vegetables, then the Ninja BL660 can do the job without the big price tag. Plus, the Ninja name stands for itself, having a good reputation. There is a standard 1-year warranty on any manufacturing defects. It does not cover normal wear and tear on any of the components. This is not a long warranty period compared, for example, to the Vitamix and Blendtec warranties, but bear in mind that the Ninja costs substantially less. If you find warranty an extra important consideration, extended warranties are also available. Having said that, many people have not had a problem with their Ninja, so an extended warranty may be a moot point. ​Of course nothing is perfect, and this applies to the Ninja as well... It seems that some user reviews online we're not entirely happy with the customer service at Ninja and with the need to pay the shipping and handling. Ninja has included some of their favorite recipes in the back of the instruction manual. With names like Raspberry Mango, Autumn Latte Lifter, and Antioxidant Refresher I can already tell you are on your way to a healthier eating style. I was curious what verified users had to say on their Ninja Pro Blender reviews, so I searched the popular eCommerce sites in-depth. The results are remarkable. If you take the thousands of reviews on Amazon for example, they are mostly around the maximum score. Other sites showed similar results, with user complaints usually minor and centered around the issues we discussed here earlier. I can't think of a stronger indication than that, about how people are satisfied with their Ninja Pro. For more versatility and power, the Ninja Mega Kitchen System is a great choice. We recently reviewed this blender system and found it to be a great advanced alternative. The Oster Classic Beehive Blender is a great low-cost alternative. First it has a glass pitcher that allows you to blend hot ingredients as well as cold. The pitcher is large for family recipes. It is easy to clean. However, there are no single serve cups. The Cuisinart PowerBlend 600 Watt Blender also offers a glass pitcher. This unit has more speeds that allows you to pulse, stir, chop, blend and crush. It has about half the power of the Ninja, but still has a nice range of capabilities. If you like the functionality and price of the Ninja BL660 but just aren’t sold on a Ninja, an alternative would be the Oster BLSTVB-103-000 Versa 1100-watt Professional Performance Blender with Two 20-Ounce Blend'N Go Cups. This blender has the same sized motor and also offers the single serve cups. In addition, this unit has a food processing feature as well. To see how the Ninja compares to one of its toughest competitors, the Nutribullet, see our comparison review here. If you mainly want to use the blender for protein shakes, there are better alternatives, which we have reviewed in our ﻿﻿﻿﻿﻿﻿﻿guide here. With this smoothie maker you can blend up healthy smoothies and other recipes to help you on your way to healthier living, weight loss and improved well being. This Ninja is a time saver for making smoothies. In just seconds you can have the fresh beverage you need. The 1100 watts of power and the patented blade assembly make crushing ice and pulverizing fruits a snap. Single serve cups and ease of cleaning are value added features. You can check the latest prices and buy it directly from Amazon HERE. If that's not exactly what you're looking for, be sure to check out our comprehensive buyer's guide to blenders here. I hope you have found this review helpful. If you are already using this blender I am sure many readers would love to hear about your experiences - please share it in the comments below.